We have cheats that include unlocking alternate costumes, unlocking Panda, getting bonus Gold and defeating Azazel easily. Check out our hints and tips and find out how to defeat Nancy easily. 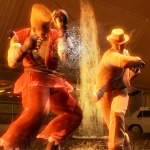 We have 58 questions and 69 answers for Tekken 6. Check them out to find answers or ask your own to get the exact game help you need. How to activate jin rage at the start? 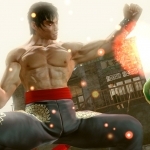 How can I unlock scenario campaign mode in tekken 6 ? Lots of videos for you to view including intros for Kazuyu, Ganryu, Asuka, Anna Paul and Steve Fox. We also have a Motivation trailer. We have 10 Walkthroughs for Tekken 6. Plenty of FAQ/Walkthroughs for you to look through including a Campaign Co-Op guide, Customization FAQ, Hidden Move guide and Combo FAQ. How to promote your character's stat..